Dress// Issey Miyake Selfridges. Watch// Longines The Watch Gallery. With Christmas approaching (I know, ITS ONLY NOVEMBER!) you have to start prepping what to wear to all those upcoming festivities early or you run the risk of leaving it last min and potentially missing out on that IT dress that now your mate has nabbed first or anxiously anticipating if Christmas deliveries are going to be as fail-safe as every year! hmm! But I'm sure now I've warned you, you've got that dress in mind and comfortably sitting in your check-out bag. 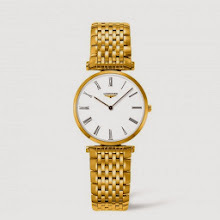 Next Dilemma, I feel lost without my watch but its chunky boyfriend fit doesn't quite resemble the same elegance I'm going with for such a glamorous season and I find this is often the case on many a night out. No one wants to compromise on style, so I looked to The Watch Gallery for something a little more 'What would Belle wear to the Ball?'. 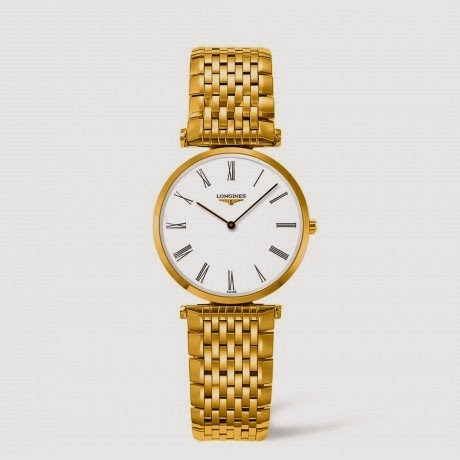 I came across this Longines La Grande timeless beauty that would compliment many a ball-gown whilst keeping on trend with its simplistic clean white face. Don't be surprised if you have more people admiring your watch over you're dress!